The effects of MDMA are very strong, and the drug can cause serious internal damage. In the worst cases it can cause death by overheating or cardiac arrest. MDMA can cause cardiac arrhythmia. MDMA is a best known as a club drug and goes by the name of ecstasy or molly. It has become increasingly popular among teens as you can get it cheap and it is easily obtained on the club scene or in raves. You should know that it can be very dangerous even though it makes you feel happy and feel as though you have a ton of energy. According to the National Institute on Drug Abuse, statistics gathered in 2012 tells us that there was an estimated 9.2 percent of people, ages 12 and older, who have used an illicit drug or abused a medication within a 30 day period. If you find yourself in this category, you need to know that there is help available for you. MDMA effects can be very dangerous and as with any drug, each person’s reaction is different and it can be deadly, even if only taken once. What are the dangerous effects you should be aware of? High Blood Pressure – otherwise known as hypertension, it means that the pressure in your arteries is higher than it should be. With an elevated blood pressure yiu run the risk of having a heart attack or stroke. 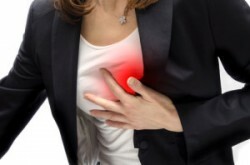 Cardiac Arrhythmias – they are disturbances that happen in the normal rhythm of the heartbeat. While there are many types of arrhythmias, a persistent one can be life threatening. Rhabdomyolysis – is the rapid breakdown of the skeletal muscles in the body, their contents then leak into the bloodstream, which can lead to kidney failure or other organ failure. Hyponatremia – an electrolyte imbalance that occurs when the sodium level in the blood is reduced. This can happen as a result of an increased, almost unquenchable thirst from taking MDMA, you drink so much that your body can’t handle the intake of all the water. It is almost like drowning in your own body. While the drug dealers try to tell you that this is not an addictive drug they couldn’t be much further from the truth. It is psychologically addictive you think you need it to feel that euphoric feeling over and over. Even short term users tell us that the effects of this drug stays can last over a week, long term users have found that the damaging effects of long term use are much worse.